Located in Nesquehoning, PA. We at Vintage Sailplaner are proud of our part in the soaring community. 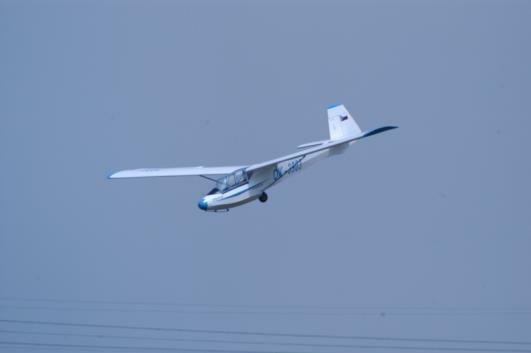 We feel that there is nothing that looks better in the air than a well designed and built vintage sailplane. Those classic lines that are so beautiful in the air and a pleasure to behold on the ground. We take pride in being able to offer you many free plans for some of the finest classic sailplanes that have ever soared across the sky as well as kits for some of them as well. In this age of ARF planes we feel that it is our duty to try to pass on the designs and building skills that have served the aero modeling community for so many decades. We are constantly striving to bring more plans for classic sailplanes to you the soaring community. Look for more more additions to our line in the future! I started building RC models in 1950, a Berkley Sea Cat - Citizenship single chanel radio with rubber band escapement, then Heath Kits, and finally ACE Silver Sevens. Designed and kitted the 2/2.5 meter PETREL glider. You could build the PETREL as a 2m or 2.5m wing. This plane held 5 national soaring records for many years. About that time I joined the Vintage Sailplane Assococation and became the Editor of the VSA's Newletter - BUNGEE CORD. I purchased, from VSA or contacts abroad, about 2 dozen full scale vintage sailplane plans. From the plans and the full scale aircraft, I designed, built, flew, and kitted several planes. Which bring us up to date with the addition of an XC kit: Astro Jeff and the superior TD ship: ALL WOOD kit version of Harley Michaelis's Smooth Genie Pro. Jim Ealy RC Soaring Consultant guarantees each kit to be free from defects in both material and workmanship. If any parts are missing from the kit or are damaged because of workmanship of the product, please notify JERCSC for a prompt replacement of damaged or missing part. This warranty does not cover parts damaged by shipping, use or modification. JERCSC's liability will not exceed the original cost of the purchased kit. JERCSC does not control the assembly or materials used for final assembly, so no liability shall be assumed nor accepted for completed kits.